How to snap out of a slump in 5 minutes. This tip can be filed under the “Strange but True” or the “Your Mileage May Vary” category. Credit to the legendary local all-around player “Fast” Freddy Lamers for this unusual tip. If you’ve just shot a dozen balls straight into the rail in the middle of a tournament, you may think you’re living your worst nightmare. Perhaps you’ve just gotten stuck in a long race or knocked to the B-side and there’s still more of this living hell to come. Welcome to the quick acting, hard hitting, mid-session slump! Please get me out of this slump STAT! Don’t fret. Things really can’t get much worse and why not try something desperate that might shake you awake and get you back to the land of the living? Here’s what to do. Hopefully, your opponent will need to take a bathroom break or maybe you’ve got a short wait before your first match on the left side of the tournament chart. Whatever the case may be, the first chance you should spread all 15 balls out on the table and try to shoot them all in standing on the wrong side of the cue. I mean opposite handed. Righties: pocket all the balls left-handed. Lefties: run out like other 90% do. You shouldn’t worry about patterns or what sequence you shoot these balls. The idea is to give your brain and body a shock. 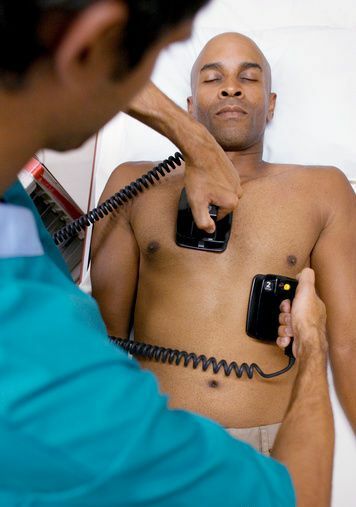 It’s like getting the defibrillation paddles to your chest. Don’t ask me how this works or how often it works. Like I said, it can be miraculous or it could blow up in your face. But you’re already looking down the barrel of a bazooka, so what have you got to lose? My theory is (because analytical is my middle name) the unusual feeling of doing something that you do so well and naturally with your dominant hand feels ridiculous. This strange and awkward feeling gets the other half of your brain working and you’ve got to actually think about these simple actions that you normally can do in your sleep. Postulate number two is (see-analytic!) that when you switch back to your dominant hand everything feels so easy and natural that you get a quick shot of confidence and reassurance. See? You can make balls. The nightmare has ended — Now, get back to work. P.S. If you’ve got any topics that would make a nifty tip, I need suggestions! TYIA. I find, playing 15 balls with one hand also helps my two handed game! Thanks for the tip. That’s a nice one. I didn’t try it out yet, but I’m pretty sure it works. Thanks! Just tried this between games at my VNEA league- absolutely worked. I lost touch with the fluidity of my shot, and this brought it back in 15 balls. 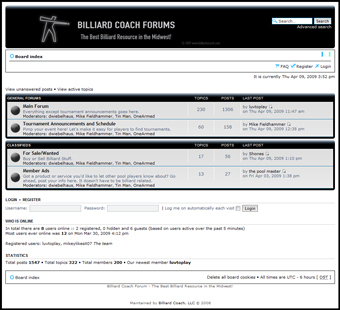 © 2012 Billiard Coach – Mike Fieldhammer. All Rights Reserved.